Chinese as a Strategic Language! 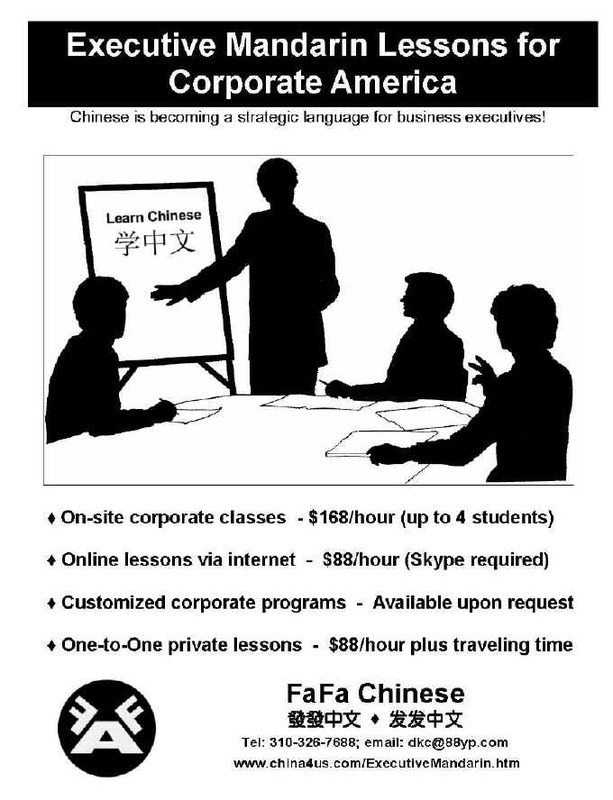 Learning Chinese as a Strategic Language!! - Help corporate executives & employees conduct business in China. according to their schedule, including before/after work hours. ensures that communications are clear and concise. contracts negotiating & signing; etc. - One-to-One private lessons and online sessions. please contact us for details & quotation.